We will be doing our annual black Friday sale next Friday. It will continue through Saturday and start at 6:00 a.m. on Friday. Everything is on sale here's your chance to save some money for your Christmas gifts and still buy from a small business. 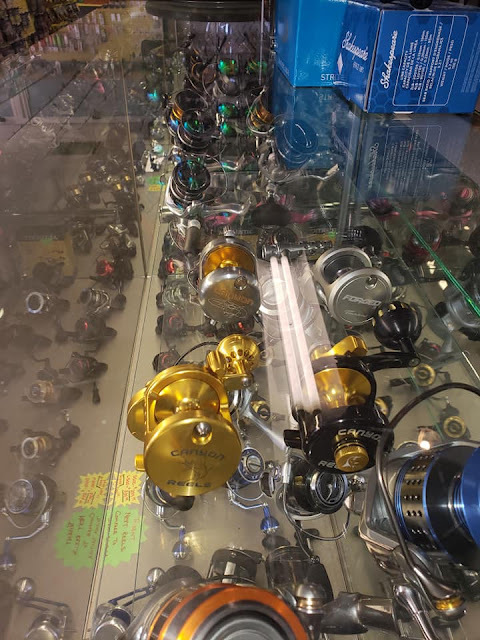 There are lots and lots of deals to be had and there are some blow outs..... We will be doing other updates over this week tell your friends and also everyone who buys something At the sale will have a chance to win a nice rod and reel combo take a look at some of the items here. GLASS MINNOW Jigs Black n White only on below cost $25.00 per full card displayed on front Table ..... As always thanks for your business.